A two-dimensional adventure game with platformer features from the independent Polish team at Juggler Games. It takes players to a fictional city ruled by the Evil King and his army of robots. The story of My Memory Of Us for PC, PS4 and XONE takes place in a fictional city that fell under the rule of the Evil King and his army of robots. Some districts have been separated from others by a high wall and used to accommodate the so-called “worst part of the society”. In this new and cruel reality, two children – the heroes of this story – try to avoid being separated and do what they must to survive in these harsh times. As already mentioned, the plot references tragedies of average people during World War II – especially those forced to live in Jewish ghettos. The story of My Memory Of Us is mostly shown through the events that the players witness on screen. There is also a simplified dialogue system based on symbols – instead of words, bubbles are filled with icons, giving character’s speeches a universal meaning. The story is nostalgic and grotesque at the same time, with a bitter-sweet humorous parts appearing from time to time. 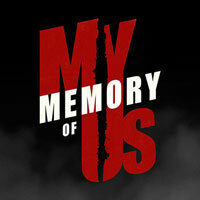 My Memory Of Us for PC, PS4 and XONE is an adventure game with platformer features that uses 2.5D perspective. Players control two characters – a boy and a girl – who have different skills. They can be operated separately or as a pair with abilities of a leading character. Working together and supporting each other, they can overcome all obstacles and solve puzzles prepared by the developers. Tips and walkthrough for My Memory of Us will help you find all the secrets and pass each level of this distinctive platformer. Our guide is full of pictures that will help you track down every memory and hidden collectible.